The most gentle of our peels. It helps provide vibrant, radiant looking skin. The Illuminize Peel® is appropriate for first-time, chemical-peel patients, patients with mild skin imperfections or patients that are looking for brighter, more radiant skin with no downtime. Patients should not expect to see visible peeling due to the superficial nature of this peel. 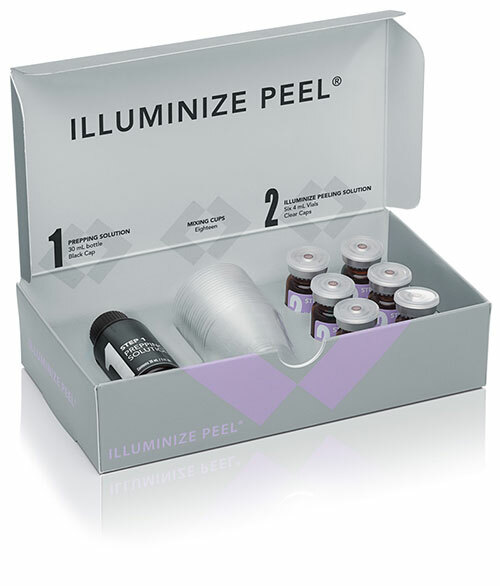 For maximum results, the Illuminize Peel® can be received every two weeks until desired results are achieved. 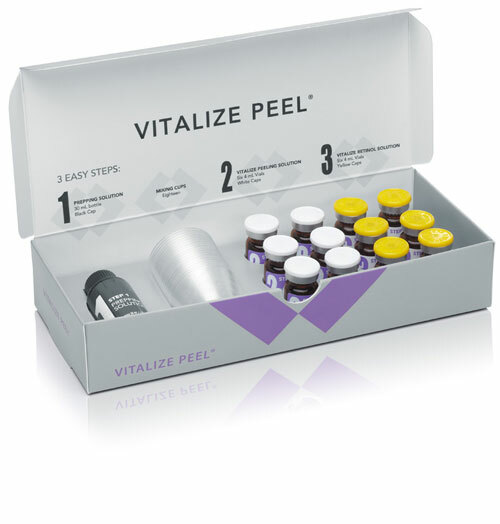 Vitalize Peel® is the most popular Skin Medica peel that is appropriate for all skin types. Patients with moderate to severe skin imperfections that result from skin aging and sun exposure, such as fine lines and wrinkles, uneven skin tone and texture. Vitalize Peel™ also address skin unevenness that can be caused by acne scarring or pigmentary changes. With ALL Chemical Peels – Multiple treatments may be required to achieve desired results. The number of treatments is based on initial level of skin damage. The effect of the peels is cumulative and results are more favorable when the peels are used in conjunction with a SkinMedica daily product regimen.